Nowadays computer is playing very significant roles in the life. Information technology changes the scenario of education as well as employment. So our school is also facilitating the computer education. Our computer lab is equipped with modern facilities. Spred in an area 1000sq fts our computer Lab is Equipped with thirty latest modified P-IV computers. 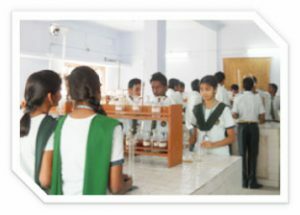 Computer labs are available for the Students use.It provides the modern methods of analyzing or storing data, making ‘Programmes’ or ‘Presentations’, making Calculations and for other uses related to the curriculum. An auditorium/ multipurpose hall of about 3600sq. feet is used for indoor games, assembly, functions, curricular and co-curricular activities. 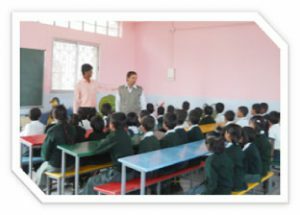 To inculcate moral values in the student the school starts each working day with the morning assembly that includes recitation of Vedic Mantras devotional songs and thought for the day. Short talks are given by the student and the teachers on a variety of subject and important current events. The news is read out daily by the students. Every morning the assembly is dispersed after singing of the National Anthem. 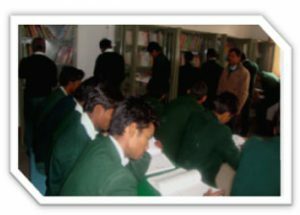 The school is providing knowledge in depth specially in the subjects Physics, chemistry, biology and mathematics through laboratories. Separate and fully equipped laboratories are provided in each subject. The Greenland School Library provides academic resources for all constituents of the school -students, faculty and administrative staff. The library strives to make resources readily accessible when and wherever they are needed to enhance and promote the total growth and development of the students. The library endeavors to provide students with opportunities to learn how to utilize materials in a variety of formats to access information so that they can continue lifelong learning. Separate Room are provided for the Sick Student. we also provide first aid in case of normal injuries by our School Doctor. 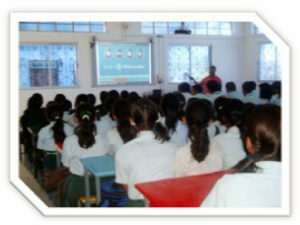 Being an English Medium school, we try to provide our students an English speaking environment in our school. As such English Language Lab proves to be an important tool in preparing out students in this regard. Vast exposure to English language, listening and speaking is provided to the students in our language lab.All modern facilities are available inside the lab like headphones with mikes, speakers, headphones, computer systems and upgraded contents. Students are provided training through our expert faculties for correct pronunciation, stress, intonation, proper pause, sentence construction and for various other speaking and listening skills.